Foto hochladen -> Ein Foto hochladen -> click on -> Ich Akzeptiere die Sky -> Nach Foto Suchen -> select Male/Female where it says Mannlich/Weiblich -> click on Senden -> select the expression by clicking on Glucklich (happy) or Bose (angry) -> Fertig (ready). After it has transformed into an Avatar character that lives on the planet Pandora, you are ready to share your avatar, either by email, embedding the code or downloading the image to include in your e-space. Toy Story 3 is another movie that has lent itself to creating avatars. 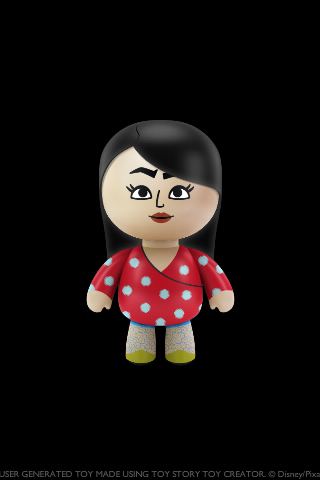 As with avatarizeyourself, you can create an avatar either in male or female form with Toy Story 3 Creator. One cool feature with both avatarizeyourself and Toy Story 3 Creator is that no sign up nor login is required, and the whole process takes up only a couple of minutes. 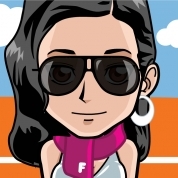 Another free site for creating your own avatar, is FaceYourManga. In 3 simple steps you will have a manga avatar ready to email. Once you email your avatar (to yourself or friends), you can then click on the download link and have it ready to post where you want it. Ultimate Flash Face is one more cool tool to use for creating avatars. 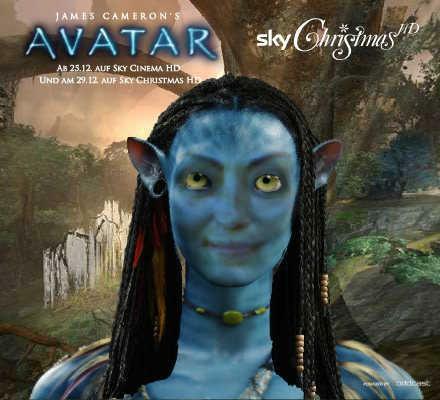 You can create an avatar in black and white, but will have to take a screen shot to save it digitally or print it out. My last suggestion for today is Meez. Meez, creates 3D avatars of your own, and after you register, offers you other features, such as Meez Nation. 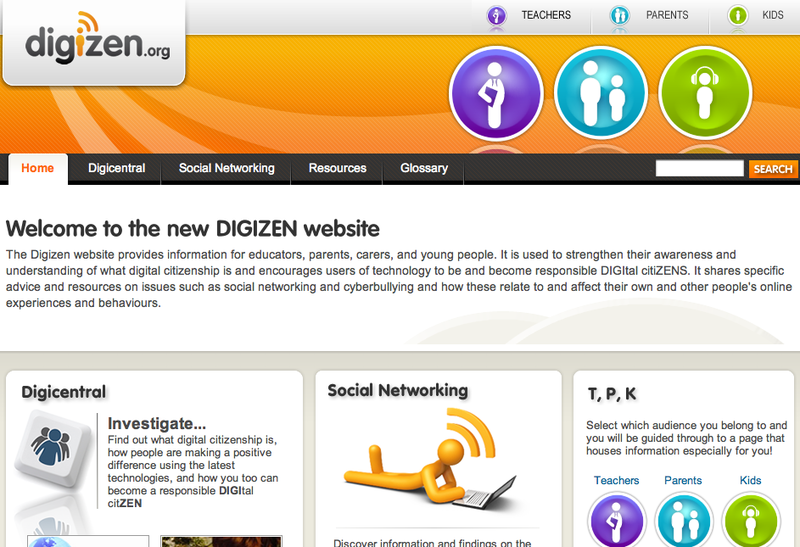 Remember to check out Dobble!Me as well as DigiMe, which I have mentioned here. Which tool do you prefer using to create an avatar? Though Google may be the one of the most common search engines, there are others which are available as I have already mentioned. Two other search engines worth trying out are Carrot2 and Behold. I have already mentioned Quintura for Kids and would like to point out how Quintura (based on a visual search engine technology) also offers an interesting alternative to Google. 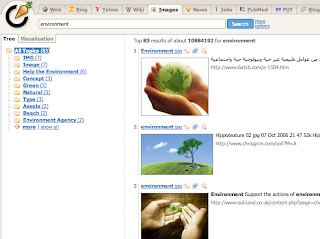 Carrot2 is a cluster search engine and provides options such as images, wikis, and web sites. When reading the results of your search, you can immediately see which sites would be useful for your search. Here, for instance, after typing "environment" into the search box, you can easily read the menu on the right and decide whether you want to continue searching on one of the topics it provides, or keep scrolling down and see what pages it shows you. 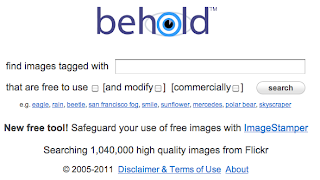 Behold is a visual search engine which you can use to find images which are free to use and under Creative Commons. 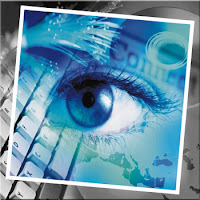 It also provides you with the link to ImageStamper, which is a free tool that allows to keep track of images under the Creative Commons. Which of these search engines have you found to be the most useful? When joining a new group, there is always so much to learn and share with each other. Two cool ways to share something about yourself is by using Bubblr and Fotobabble. Both Bubblr and Fotobabble are also great to use as a warm up activity in class, or to summarize a theme that you have been discussing. Here is an example of using Bubblr - you begin by thinking of a topic or theme and type it in the box which will search for images. Then, you just need to drag the image of your choice to the screen as you can see here on the right. 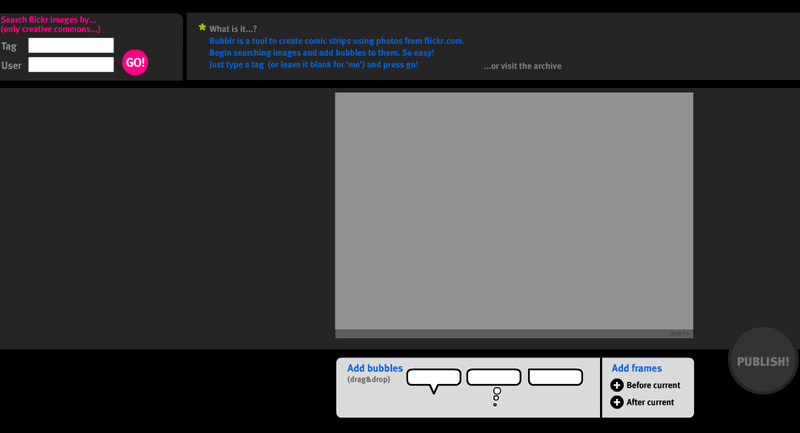 The next step is to drag a speech bubble into the screen and write your contribution. The last step is to share your work in your blog, social network or even simply email it to friends. 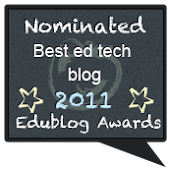 Fotobabble is another great tool to share information. Unlike Bubblr, you need to sign up for an account and then log in. 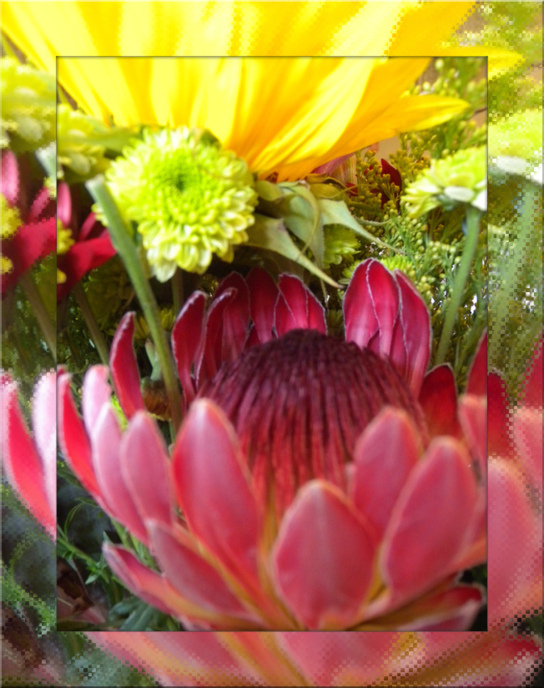 It's a fun way to narrate your photos and share them with others. After you sign up, upload your photo and then simply record your message and embed it in your blog/social network or even send an email or SMS. 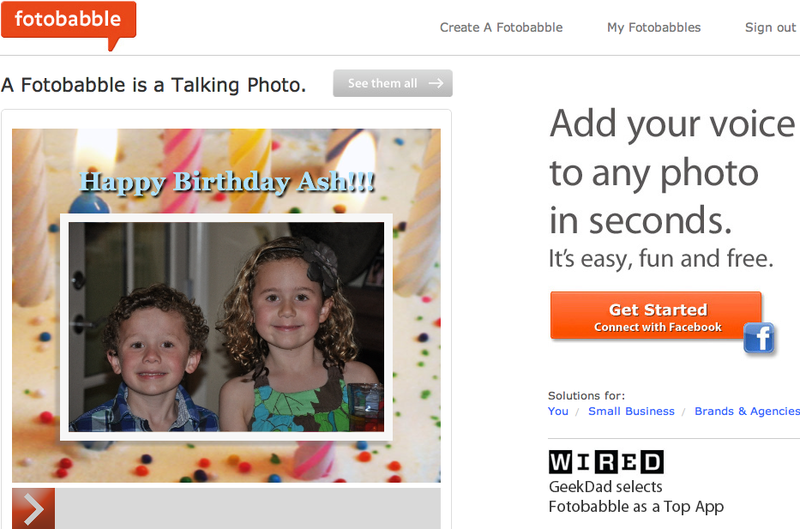 How many different ways can you use Fotobabble and Bubblr? We all have dreams we want to follow, goals we want to achieve in life. Sometimes, the paths may be long, winding, uncertain even. When we have a quest, a journey towards a goal, part of our quest is to overcome obstacles that lie in our way. Overcoming those obstacles are an inherent part of the journey. 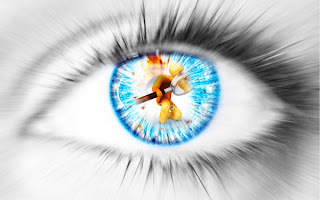 Think Quest can become part of your dream and aims in life as well. Think Quest is a learning platform for teachers and students, offering not only a competition but also resources written and developed by students. Here you can find out more about Think Quest's competition. Participation requires the development of skills such as critical thinking, collaboration, use of technology, creativity and cross-cultural understanding - all skills that are necessary in life today and which you apply everyday. 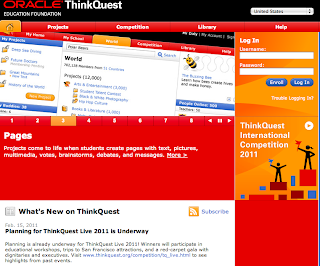 Think Quest also has a library, where you can find projects and websites written by students from all over the world. It includes subjects from science & technology, business & industry, social sciences to health & safety, as well as other areas of study. I particularly like the way it is simple to navigate, well organised by themes and dates, and especially how the projects and materials are written by students for students. There is a wealth of materials to explore. I include a screenshot of Lead Portal, a project on leadership, inspiring leadership among young people and how they too can make a positive impact on their communities. Whether participating in the competition or exploring the many projects available, Think Quest is an awesome place to include in your learning journey. We can collaborate with others in many ways and today, I'd like to suggest using Titanpad - a cool tool to use for collaborative writing. You don't need to spend time signing in, just type in your name and everyone can see who is contributing. The tool bar offers a couple of options such as saving your work, importing/exporting the document and in the format which you prefer (e.g. Word, PDF or HTML). Another cool feature is that there is a chat box which you can use as you work on a project. If you choose to keep the space private, TitanPad also provides an option to create a team site where members sign in to their team pad. By following a couple of steps - setting up your own private space or team site, signing in to your email and choosing a personal password, you then click on create a new pad and simply choose a name for that pad. 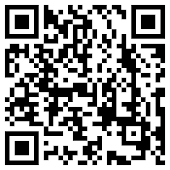 The last step is of course, to share the URL and password with the rest of the team. Authors can also choose different colours and fonts for their participation, so making it easy to see who is writing. TitanPad can be used for immediate brainstorming sessions, doing revisions, sharing writing projects across different classes and even countries - all in real time. What other activities will you be doing with TitanPad? You may also like to see Etherpad and TypeWithMe as two alternatives to TitanPad for realtime, collaborative writing. As a learner, I am aware that I only learn by being engaged in what I am doing. Unfortunately, I too have had to sit through lessons and lectures which did not engage me in the least. Lessons and lectures where I daydreamed of doing, instead of just sitting and listening to information being presented to me. How is this relevant for us today? How can we attempt to teach and engage? How can we attempt to educate - and not merely edutain? And why should this even be an issue? 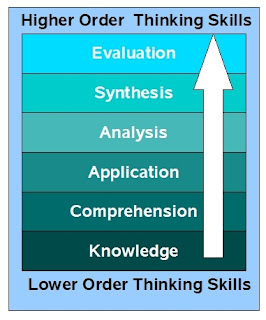 For those who would like to know more about Bloom's taxonomy, I include 2 images which neatly express what Kevin Robert's presentation on 21st century learning demands. Teaching and learning in the 21st century is full of opportunities for all. From shared resources to inspiring digital tools, learners today don't need to sit and stare out the window, wondering when it will be their turn to do rather than merely being passive recipients of knowledge. They too are creators and active participants of information and knowledge. Rather than mourning the challenges, let us consider the opportunities which we can today share and enjoy exploring. 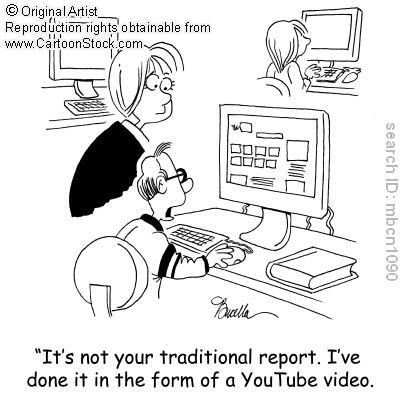 21st century learning is full of opportunities. You just need to be open to them. 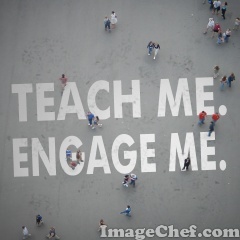 How will you engage me in my learning? Rice is a staple of many people's diets around the world. If you travel around South East Asia, for instance, you will delight in the sparkling emerald fields which will yield rice crops and in time, delicious meals to local families. Yet, despite all efforts to successfully grow essential crops such as rice and wheat, for example, there is still hunger in the world. The World Food Programme has committed itself to ending hunger around the world and you too can help achieve this goal. FreeRice has two main goals: to provide free education to all and to help provide free rice to those in need. 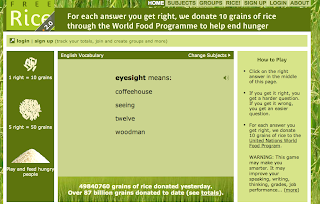 It is run by the World Food Programme and is made possible by the generosity of sponsors who advertise on their website. 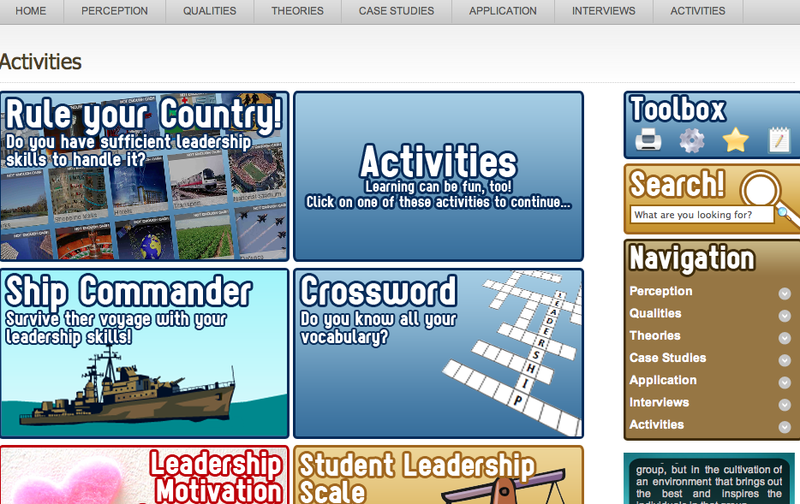 When you begin exploring FreeRice, you can find games for subjects such as chemistry, maths and arts. And best of all, it also includes 2 great game sites for English learning - a vocabulary and a grammar game. So, how can playing a game help feed the world? 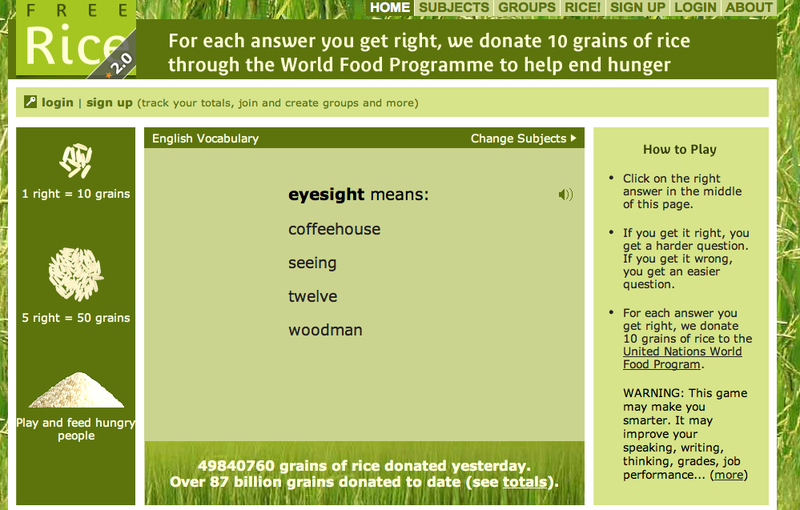 For every correct answer, 10 grains of rice are donated to the WFP . FreeRice has different levels for vocabulary and as you play, you can listen to how words are pronounced. After you sign up, you can track the totals of your answers as well as join groups who are also playing. 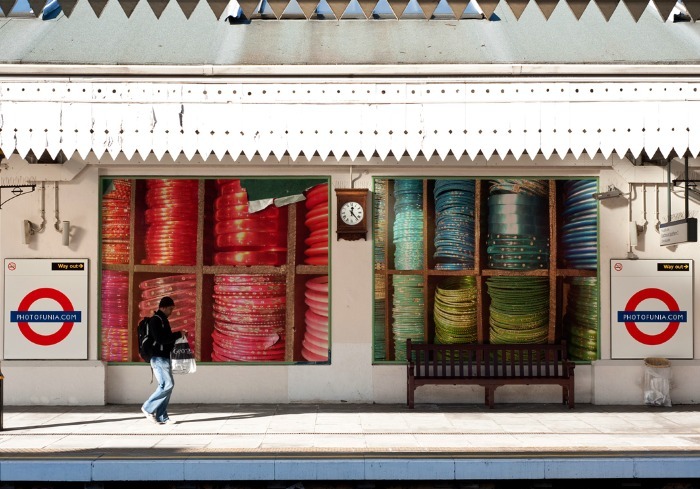 Hide n' Seek – World Food Programme from Beckmans College of Design on Vimeo. Word magnets are a fun way to make sentences and to play with meanings. Fuzzwich Fridge challenges you to create sentences on a fridge with random words on a screen. 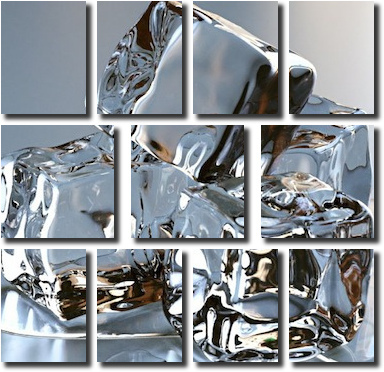 You can then save save your fridge with your sentences and embed it in your blog or social network. If you are not happy, you can easily create click and create another set of sentences with a new set of random words. 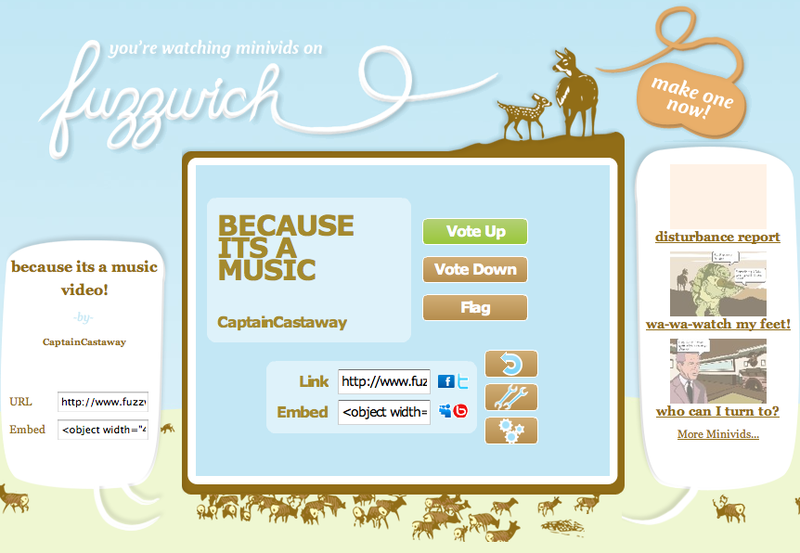 You can also create a mini video with Fuzzwich. As you select your character(s), you are offered short tutorials as you go along. You simply choose your background setting, your character(s), a soundtrack and speech bubbles. You can also upload your own photos for the characters in your animation. Then once you are ready, you can share your mini video in your blog. The best feature is that you don't need to sign up and then log in; you can create your animation, preview it before saving and then embed it in your blog or social network. This short video clip demonstrates how simple Fuzzwich is to use. What story lines can you make into an animation? And simple answers all in a row! I am sure this nursery rhyme will come to your mind when you try out Answer Garden. 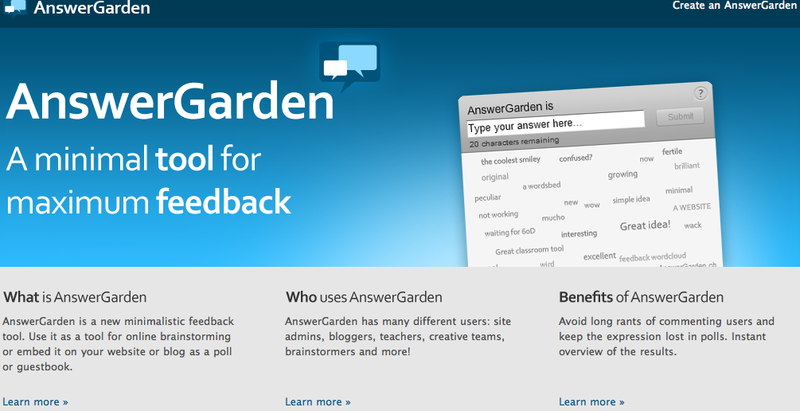 Answer Garden is a simple tool to use and especially practical for brainstorming and carrying out mini polls. It's free and best of all, requires no sign up. 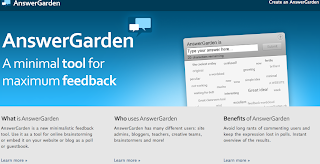 You begin by creating a new question on the create a new Answer Garden which will then lead you immediately to a new page where participants can type in the answer. Once you have the replies, you can embed the answer garden in your social networks and blogs. Another cool feature of Answer Garden is that you can administer the replies before making it public, thus ensuring that inappropriate language is not included. You can also then export the data to Wordle or Tagxedo to make colourful word clouds which you may want to print or embed in your blog or social network. Plant a question. Grow answers! I could play endlessly with those concepts. Instead, I would like to share 2 video clips reflecting teaching and learning today. As much as the internet has opened doors to our worlds, there is equally the need to learn how to participate safely online. From stolen identities, to hacked emails and cyberbullying, learning how to be safe online is as necessary as knowing how to use all the tools, networks and platforms at our disposal. 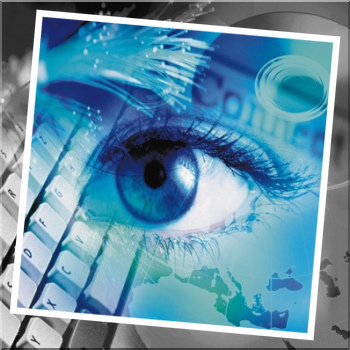 Internet Safety Day is a day for us to reflect what online safety is, what are the issues and what we can do to comfortably use the internet without harming ourselves and letting others harm us. Being a responsible digital citizen is a two-way street - you need to respect yourself and others online. 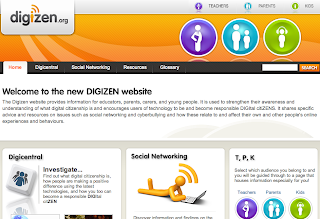 Digizen offers lots of advice regarding digital citizenship as well as pages for teachers, parents and kids. Definitely worth exploring. 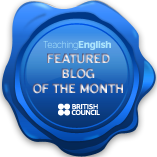 Ins@fe, supported by the European Union, is another site which offers advice and resources for teachers, parents and children. I like considering alternatives in life, and often look for alternatives online as well. So today I would like to briefly point out 3 alternatives to Google Images. 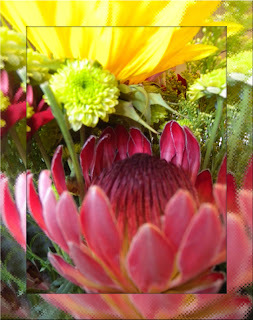 Plus!Images is an application which allows you to search and share images with others - and it's free. Wylio is another search engine for images with the added feature that it is a cool tool for bloggers, saving time by crunching images and including an attribution to the original photographer when you post it in your blog. 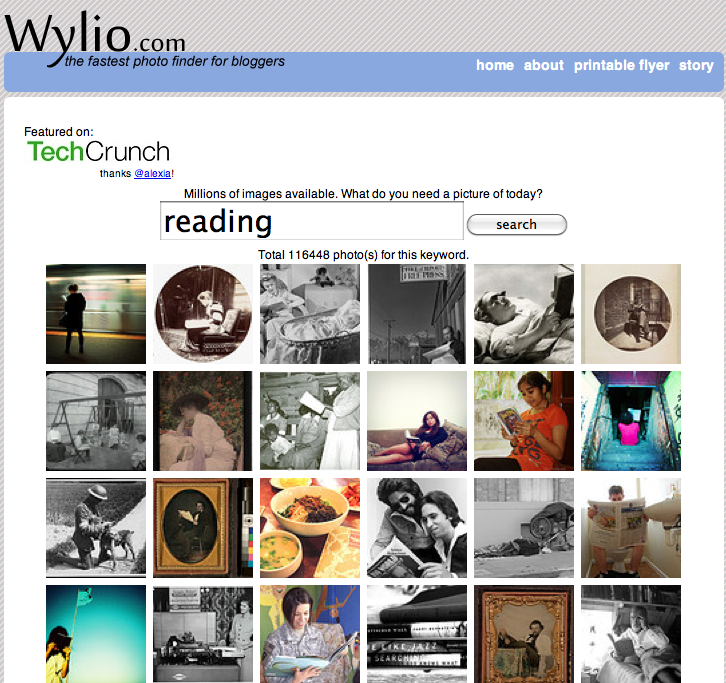 CompFight is yet another cool image search engine. 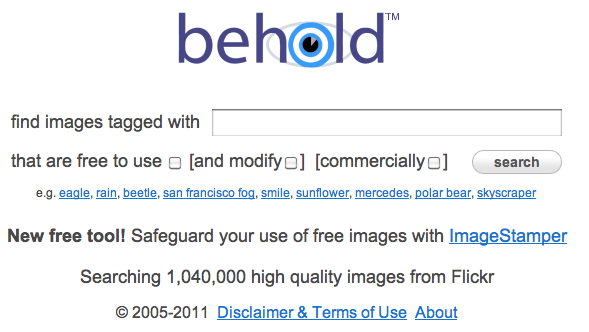 CompFight offers additional features such as searching for images which come under Creative Commons, it seeks originals and offers a safe search option as well. 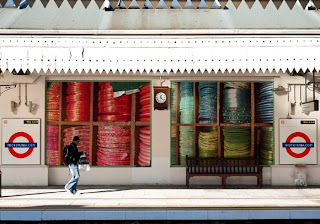 What other search engines for images can you suggest?